Due to the implementation of new EU legislation, organic farmers must from 2019 use 100% organic feed in the production of organic livestock. Danish research has found a new innovative way to turn surplus mussels into sustainable, organic feed. From the 1st of January 2019, a new set of legislations from the EU has come into force requiring organic farmers to use 100% organic feed in their production of livestock. For a country like Denmark, it forces several farmers to find new types of organic feed. This also reflects a larger picture where several farmers around the world are focused on finding new, innovate ways of feeding their livestock in a sustainable way. 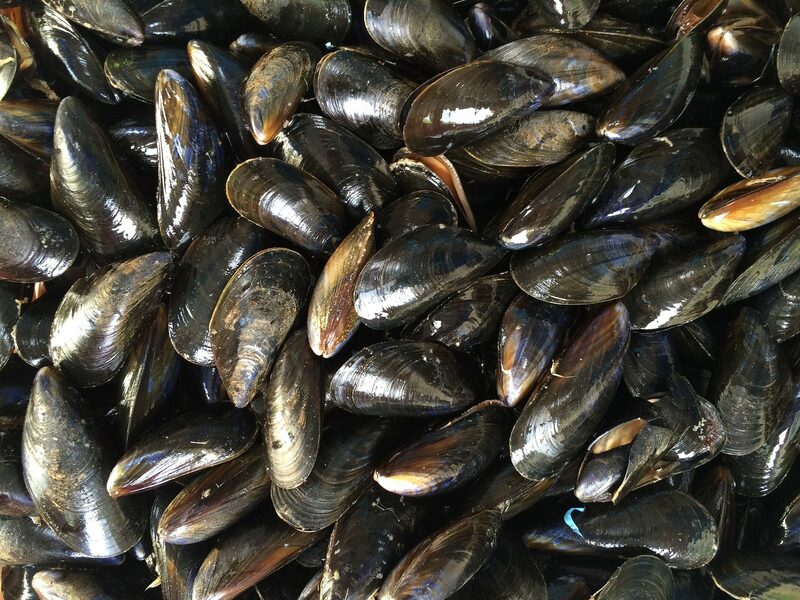 Because of the new legislation, researchers from The National Food Insitute, Technical University of Denmark, the DTU FOOD, have developed an innovative solution that can turn mussels otherwise too small to be used as food for humans into a sustainable and organic animal feed. The solution includes a process where the surplus mussels (including the shells, which are all rich on vitamins and protein) go through a meat grinder and then in a compact filter that splits the mass into a solid and liquid substance. Some of the mussels are the size of a sunflower seed and all the mussels are a maximum of 4.5 centimetres long. If they are longer than that, they are considered eligible for human consumption.This causes high utilisation of what was otherwise a residual product and lays the ground for a more sustainable, organic production.